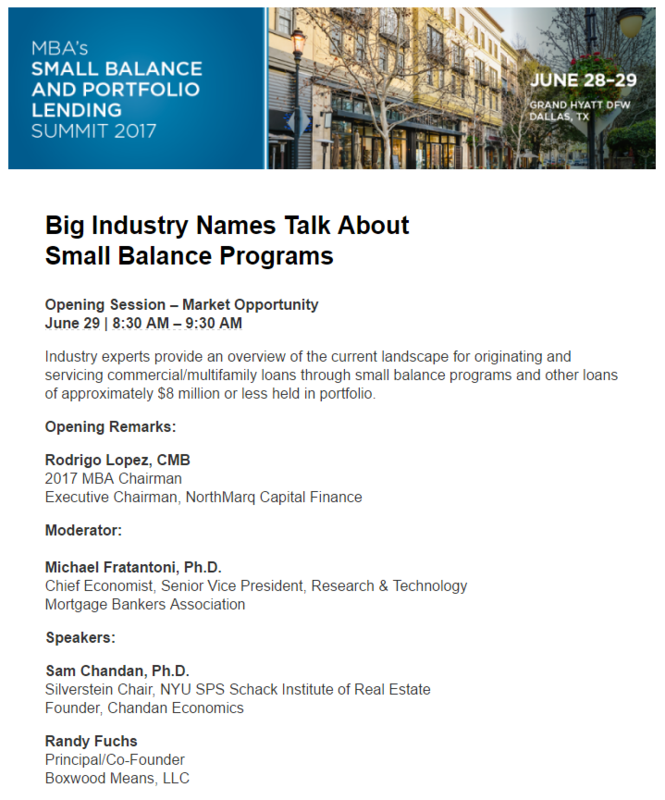 We're proud to have Randy Fuchs speak again at this year at MBA's upcoming Small Balance and Portfolio Lending Summit. The small commercial property and loan markets - like the CRE market at large - have been consistently strong over the course of this lengthy market expansion. However, winds of change may be afoot as space market fundamentals have recently stalled and property sales have declined. Join Randy and other panelists for a session that includes Boxwood's latest research and the go-forward market opportunity for small balance lenders on June 29 in Dallas. We will also have an exhibit table, so please stop by and say hello. See you there!